Whichever kind of summer is now – it’s not a reason to miss the moment! 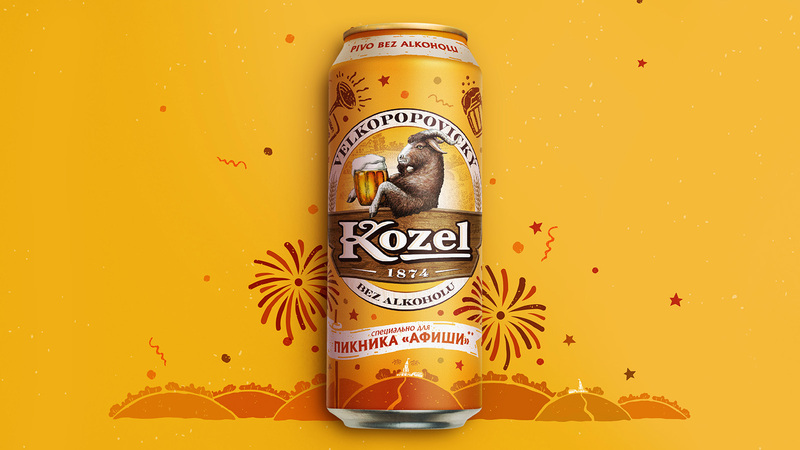 It’s time to walk in the open air, to relax with friends and to arrange picnics, particulary, to visit Picnic «Afisha», the largest annual Moscow music open air festival, which takes place at the end of July in the Kolomenskoye Museum-Reserve. 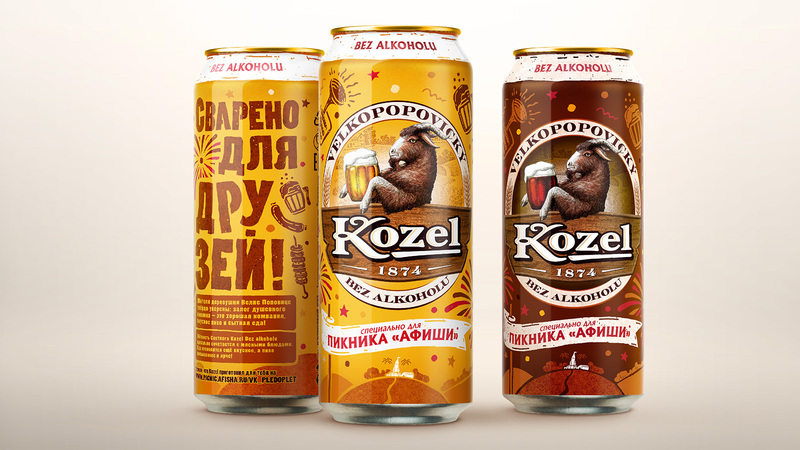 There will be a lot of music, communication and delicious food at the festival this year – everything, that Velkopopovicky Kozel brand appreciates and supports so much. 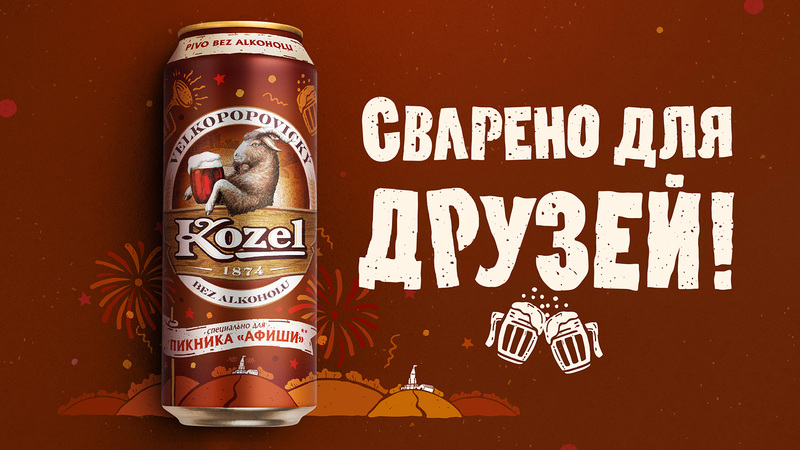 But what’s a picnic without Kozel Bez Alkoholu? 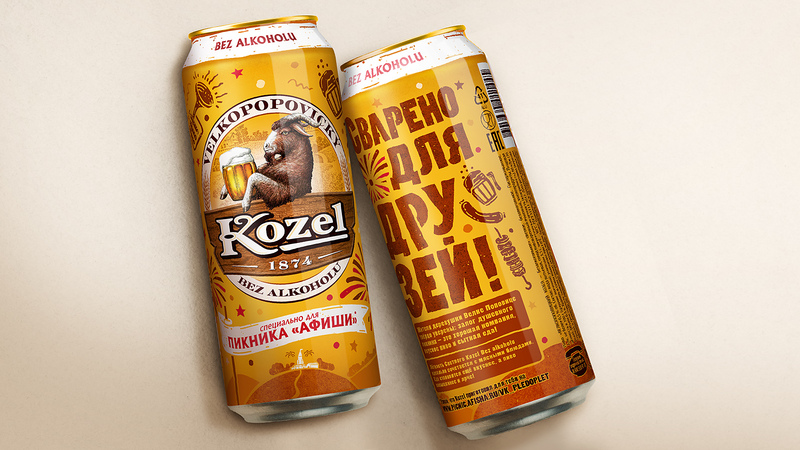 That’s why Efes Rus decided to unite with «Picnic «Afisha» festival and release Kozel Bez Alkoholu limited edition beer cans, which will be on sale at the event at all the points of food court and will fill the summer with colorful emotions and saturated flavor of Kozel Světlý и Černý! 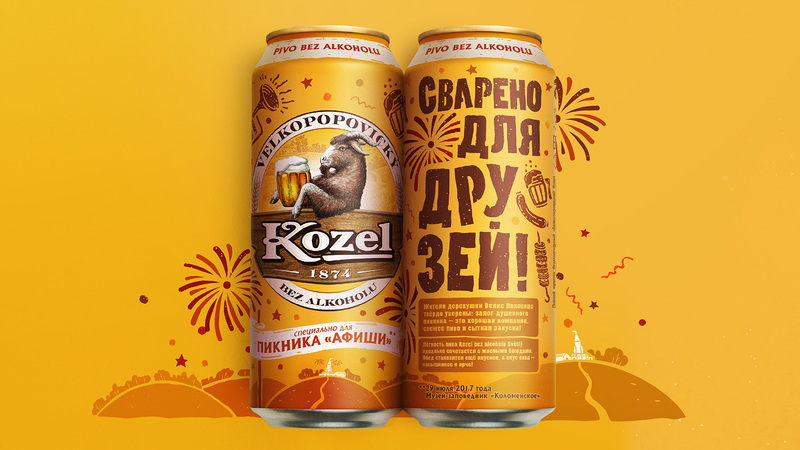 To cheer up and add holiday atmosphere, we developed a cheerful, soulful design with festival attributes: fireworks, fanfares, confetti. 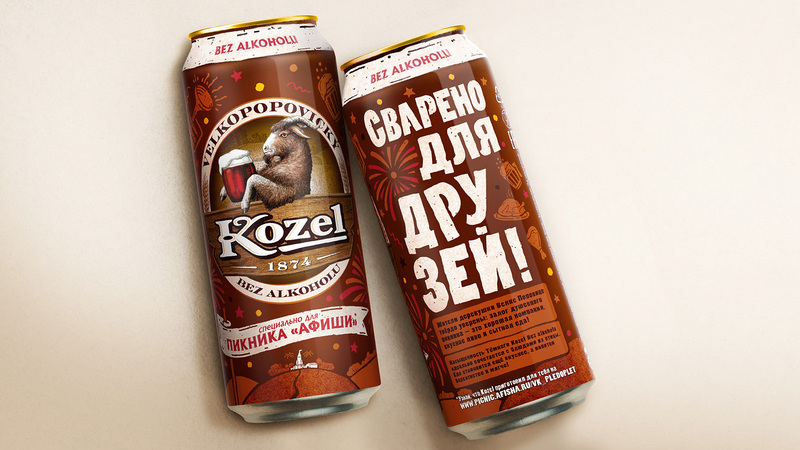 And to emphasize the idea, that Velkopopovicky Kozel is perfectly combined with variety of dishes, there are images of meat and fowl dishes for each sort in design. 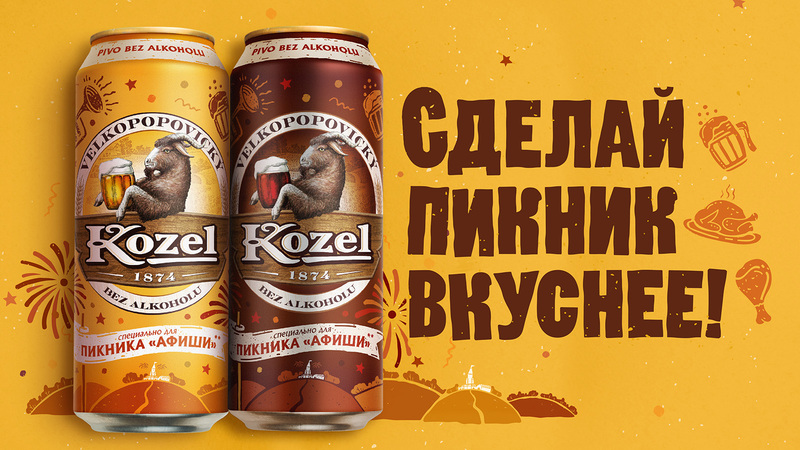 Also, instead of usual Kozel landscapes with Czech village we used the recognizable outline image of Park Kolomenskoye on limited edition design. In support of the limited edition we created a set of pos-materials to design all the zones of event.